Puget Sound Institute research scientist Aimee Kinney was quoted in a January 25th story on KUOW radio about the removal of shoreline armoring in Puget Sound. 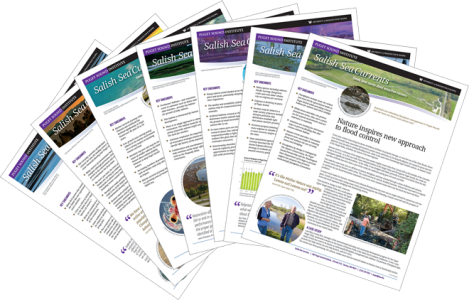 The story focuses on recent progress by the state to remove widespread seawalls and bulkheads that harm salmon and alter the ecological balance of the shoreline. Kinney has been part of an EPA-funded team developing a comprehensive strategy to reduce armoring in the region. 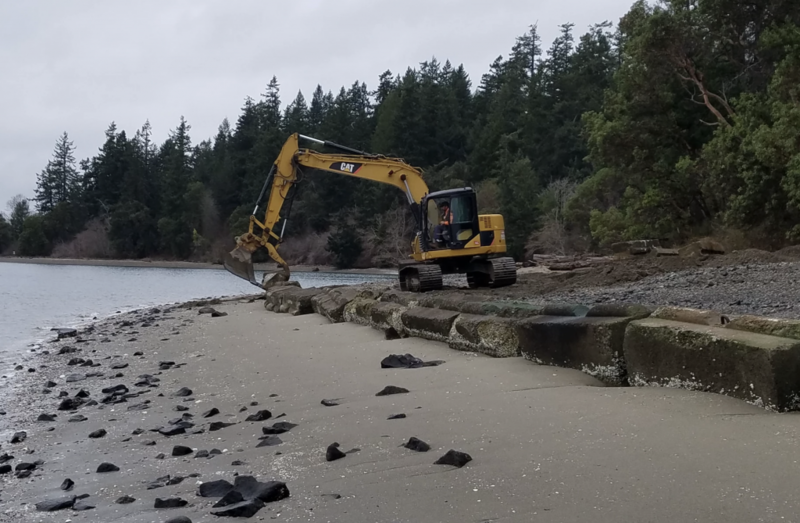 Much of Puget Sound’s artificially hardened shoreline occurs on privately held land and the team is working to improve enforcement of permits and to provide incentives to remove seawalls. According to the state, there has been gradual progress in removal efforts and slightly more armoring is now being removed than is being created. The full story is available on the KUOW website.